Located in the heart of the city, this property was originally established in 1996. Having undergone a major face lift this year (2015), we are now rated a 3* hotel. 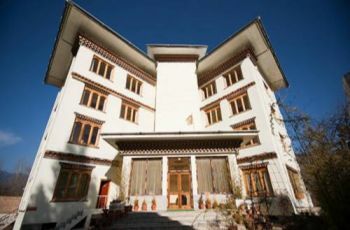 With modern day comfort in a traditional setting, our personalized services and friendly atmosphere make it an ideal place to stay while in Thimphu. 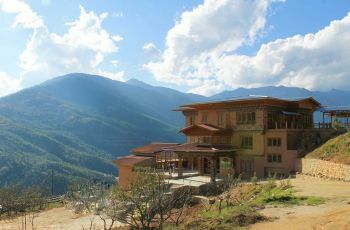 It has always been a popular choice for both tourists and expatriates visiting and living in Thimphu because of our convenient location. 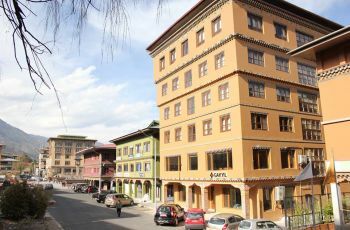 One can find plenty of restaurants, cafes, & local shops within 2-3 mins walking distance as well as bars & clubs if you’d like to experience the nightlife in Thimphu. 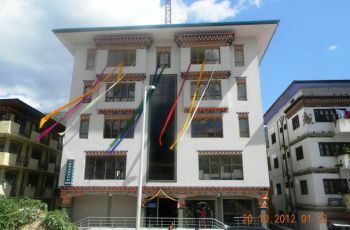 Depending on the time of your visit, you could also get a glimpse of our colorful and exciting national celebrations at the Changlimithang Stadium, located right in front of the hotel.